One of my yearly traditions during PAX is heading on over to the Seattle Indies Expo (SIX for short) and seeing what Seattle based devs have cooked up. It’s a tradition I love, both because I’m a fan of indies but also because I’m a Pacific Northwest boy at heart. Each year that I attend SIX I scout out the available games, and any that pique my interest I try and demo. From all the games I demo, I then like to sort out which I felt were the best of the best. These are those games, listed in alphabetical order. Let me start by saying I adore cats. Which isn’t to say I hate dogs, there’s just something highly endearing about feline intelligence and quirky behavior. So when I saw a demo that involved cats in military garb such as berets, I knew I had to try it. Putting on the provided kitty ear headphones (not joking) I stepped up to play Meow Wars. 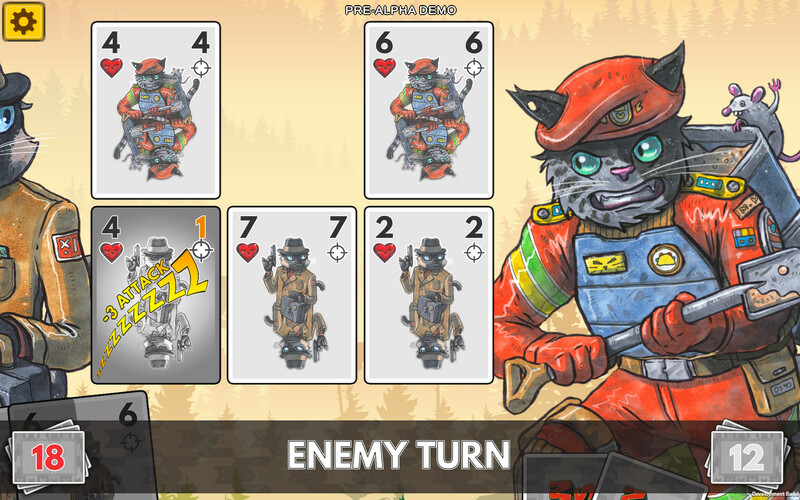 Developed by Taco Truck Games, Meow Wars is a card game where you play as a member of FURR, facing off against rival organization PEST. 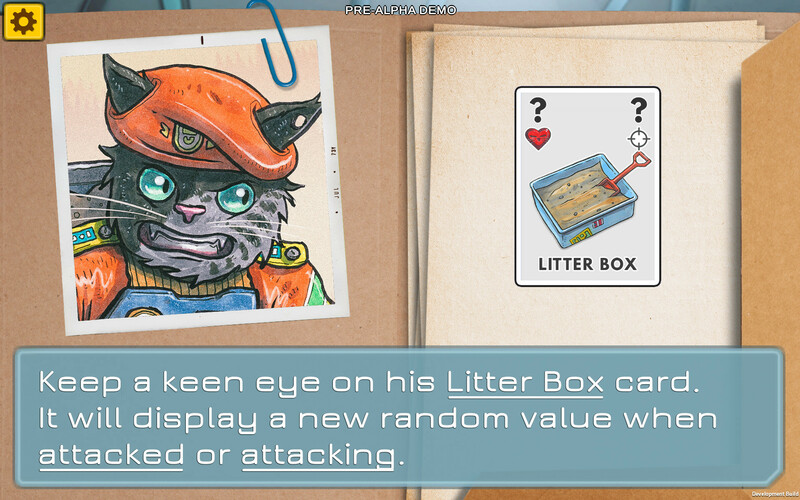 It’s silly fun, and each character you face in the demo had a special card, such as one whose Litter Box would attack with a random value each turn. I also enjoyed how cards took a nap after attacking (they are cats, after all). I managed to beat all the enemies in the demo except for a freakish cat with a Dr. Doom rat mask, who beat me soundly. If this game manages to balance the various systems already present, Meow Wars should be a lot of fun. Though I wouldn’t mind if it made its way to Switch, since I can see it fitting right in on that console. One of the games with the best graphic art was Missile City AeroLeague. Developed by Haunted Heavy Industries, it’s touted as a mixture between Street Fighter and Windjammers (wasn’t familiar with the latter). 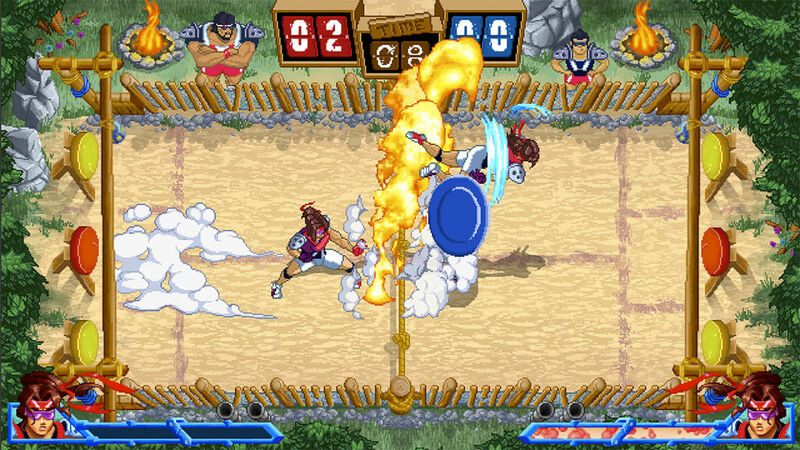 It plays out like a really violent game of frisbee, with players knocking the projectile back and forth at wild angles to hit the targets at the back of the arena. If that was all there is, I would have gotten bored quickly, but different characters have unique abilities to help mix things up. In the demo only two characters were available, but both looked and played pretty differently. One could shoot fireballs to stun her foe, which was pretty cool. Slated to come out on PC, it might be a sports game to keep an eye on. It already has a great aesthetic style, so with some story mode and character development, it could be amazing. If you know me, you know I am drawn to games by their art style, but what style appeals to me can vary wildly. So long as it leaves an impression, I will consider it, and have equal love for the art of Downwell as I do for The World Ends With You. So when I saw a pixelated puzzle game with giant roaches in it, I knew I had to try Puzzle Depot. You play a sort of janitor whose job is to clean up a facility that is more than a little suspicious. If you’re old enough to remember it, the gameplay reminds me strongly of Goof Troop for the SNES. Though the game is focused on pushing boxes and hitting switches, Puzzle Depot manages to keep you on your toes with lots of gameplay nuance. For example, you can also kick barrels to send them hurtling towards walls, as well as find and use metal tools like crowbars and trashcan lids. But don’t get too cocky, since little mite like creatures love to eat metal, and walking past them will leave you high and dry. It’s a lot of fun so far, and I’m impressed with how Laughing Manatee Games have imbued the game with their own unique flavor. It’s currently slated to hit PC, and I’m pretty sure the devs told me that it will feature a level creator as well. Here’s hoping it becomes a puzzle game that fans keep getting drawn back to, again and again. Even though this list is alphabetical, it should tell you something that Sacre Bleu was the first game I actually played at SIX. 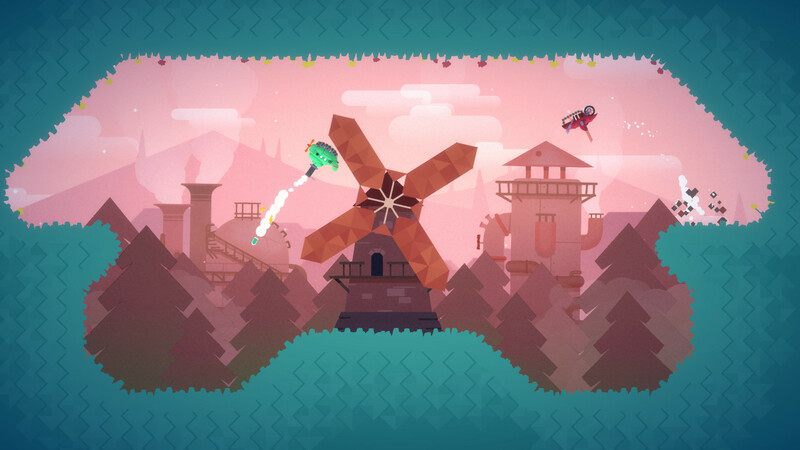 Developed by Hildring Studio, it reminded me visually of Worms mixed with The Three Musketeers. It primarily plays as a platformer, with lots of running from hordes of foes, jumping onto hanging chains and avoiding deadly traps. You can defend yourself with a saber and pistol, though the latter has limited uses. It’s no exaggeration to say I picked up on the controls of Sacre Bleu instantly, and only died once on the level I demoed (I watched many before me who racked up dozens of deaths). The plot of the game revolves around Musketeer Henry LeBlue thrown into the Bastille on erroneous charges, though you don’t need to know any of that to enjoy the well implemented game mechanics. I can’t wait to play the final build of Sacre Bleu on PC, and highly recommend it to fans of classic platformers. 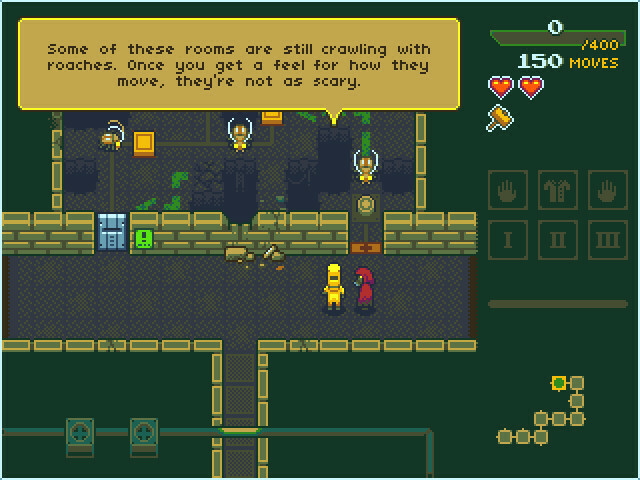 No, this is not the long awaited Treasurenauts by Renegade Kid, but it’s quite interesting all on its own. I was drawn to Treadnauts by the colorful graphics and the fact that it was a party game involving tanks. 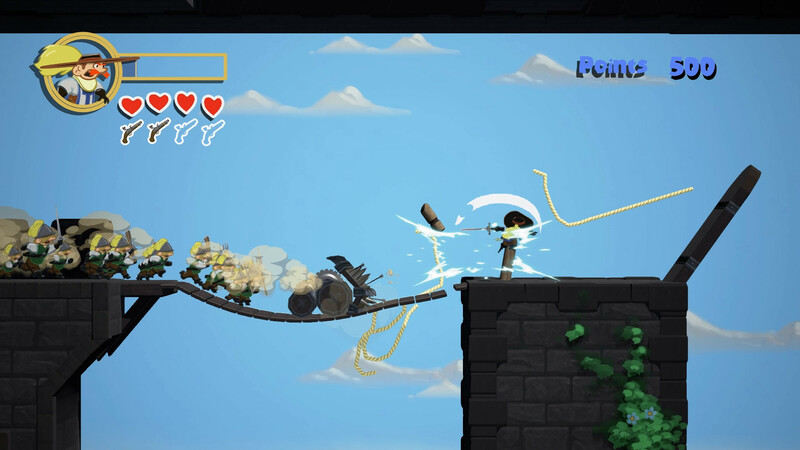 Treadnauts is focused on physics based mayhem, and your seemingly normal tanks can defy gravity by climbing walls. Better yet, when you fire your shells, your tank will be propelled backwards, which means things get pretty crazy quickly with 4 players. There was a variety of nicely designed different characters to play as, though these apparently offered no unique abilities. I’m confident many will enjoy Topstitch Games’ tank party game, and hope to see Treadnauts make its way to consoles, though it is currently slated only for PC. I had a blast at SIX playing these games, and want to thank Taco Truck Games, Haunted Heavy Industries, Laughing Manatee Games, Hildring Studio and Topstitch Games for the opportunity to chat with them and play their indie gems. It’s games like this that make SIX worth attending, and I can’t wait for the chance to play more next year!